Imagenuity was founded by Jim Bergman in 1996 as a consulting company serving the business and education communities. Jim combined his background in software engineering (as founder of TeleGrafix Communications) and his background managing online services and large networks for Fortune 500 computer manufacturer AST Computer to offer services in web application development, network configuration and server automation. Imagenuity now builds apps for Android and iOS mobile devices, and continues to build websites for business and education. I am an iOS and Android cross-platform app development and mobile web specialist. Leverage years of experience to help your business grow and prosper. Get your project finished! and a message below to contact Imagenuity. When visiting Imagenuity.com, the IP address used to access the site will be logged along with the dates and times of access. This information is purely used to analyze trends, administer the site, track users movement between pages of this website and gather broad statistical information for internal use. Most importantly, any recorded IP addresses are not linked to personally identifiable information. We have included links to other websites on this site for your use and reference. We are not responsible for the privacy policies on these websites. You should be aware that the privacy policies of these sites may differ from our own. 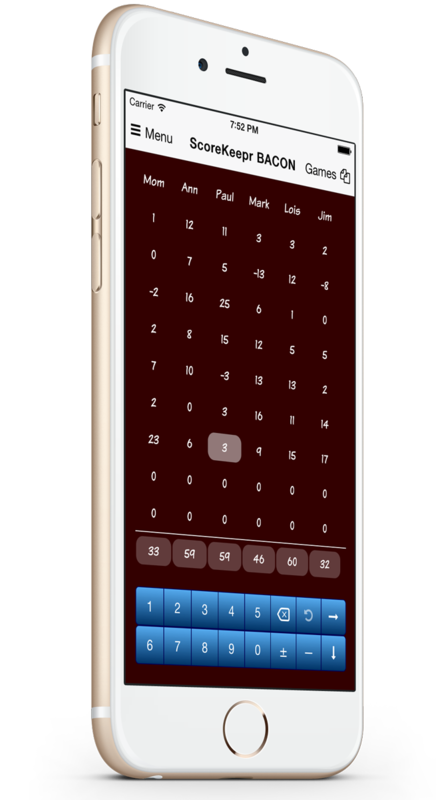 ScoreKeeper keeps track of your scores while you have fun. Because you want to play, not do math!